Dear Little Letterbox - you've got mail! Dear Little Letterbox – you’ve got mail! You’re never too young or too old to appreciate mail of the sweet and fuzzy kind and we have just the thing for celebrating such special deliveries. Two of my children would write letters and draw pictures to each other all day long given the time to do so, and I love the concept of an ‘in house mail delivery service’, saving on postage stamp costs. Of course, you also get to enjoy the delivery straight away, not relying on the postman! 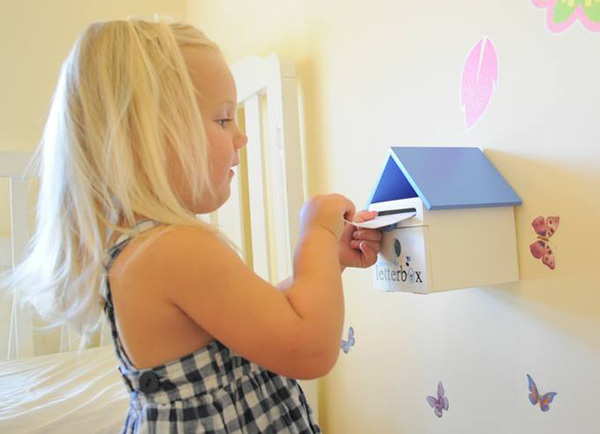 Perfect sitting perched on a shelf or go the extra mile and fix it to a wall, the Dear Little Letterbox is available in five colours – red, blue, yellow, purple and pink. 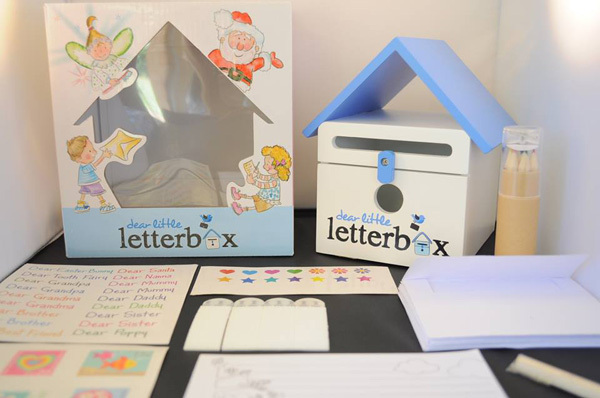 Each letterbox kit contains a Dear Little Letterbox, notepad, coloured pencils, sharpener, little envelopes, stickers and wall mounting supplies. Should you have an avid pen pal on your hands, you can purchase a Refill Stationery Pack for an additional $7. The Dear Little Letterbox wall decal ($25) is also available and is a stunning addition to really making a show piece of your letterbox! Dear Little Letterbox is priced $39.95 and is available directly from Dear Little Letterbox.